We took the sailing option very seriously for the PT 11 and it's a good thing we did. Most of the PT 11 builders have chosen our rig and foils. 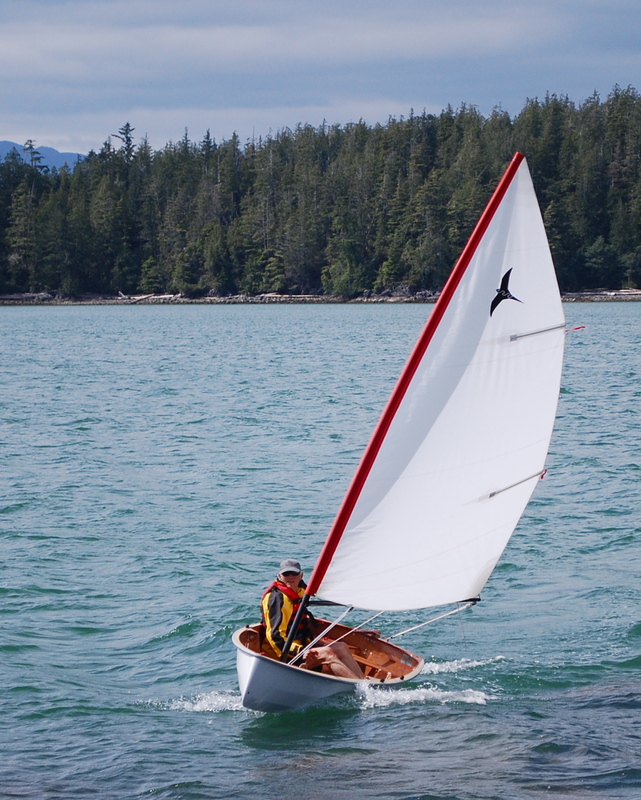 The sailing performance of this boat is not only measured in sailing ability, but also in simplicity and ease of setting up the rig. Setting up and breaking down a sailing rig is always a bit of work, especially if you are doing it alongside a cruising boat. 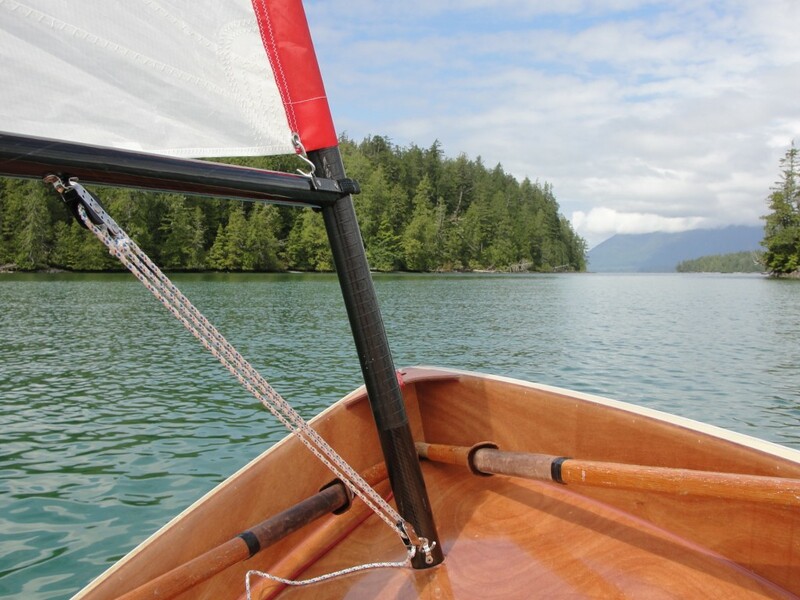 It's true that the easier the set-up, the more one goes sailing. Our rig is as light and easy to use as possible. 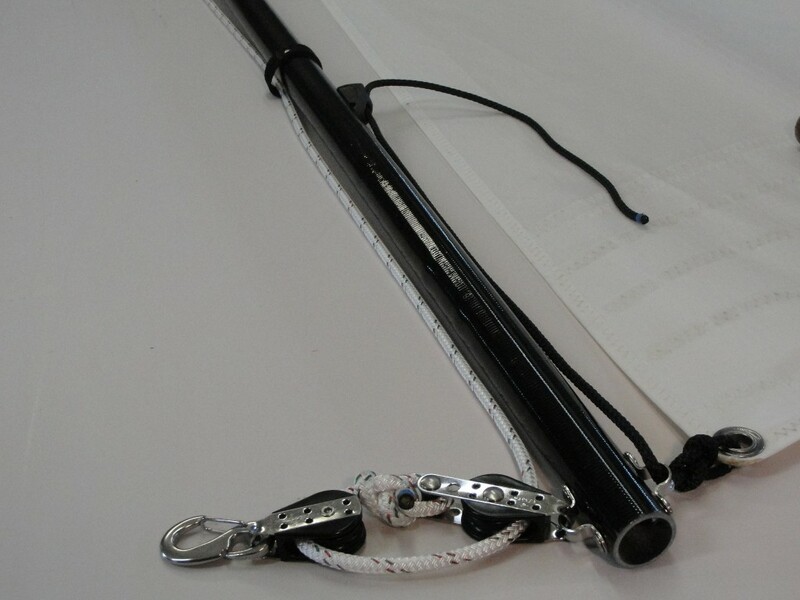 The carbon fiber mast is two-piece and sleeves together. The boom carries all of the hardware and running rigging. The gooseneck fitting is made by us. 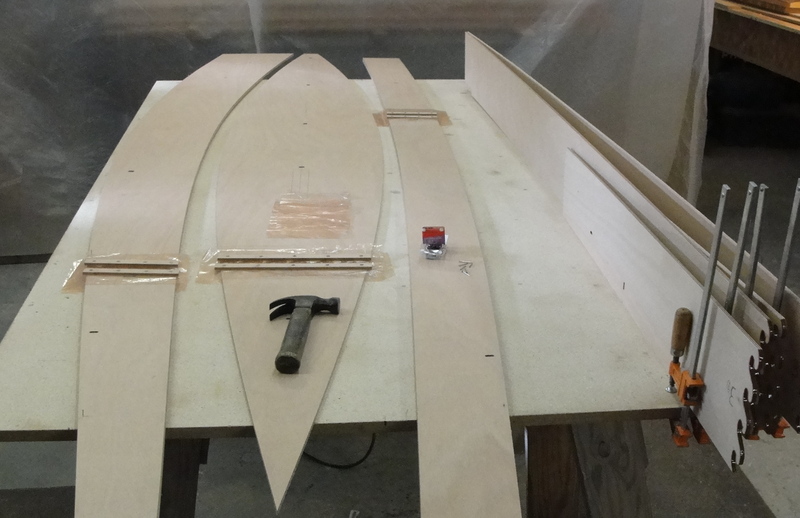 It has no moving parts, installs instantly, and is held to the mast by the sail and vang. 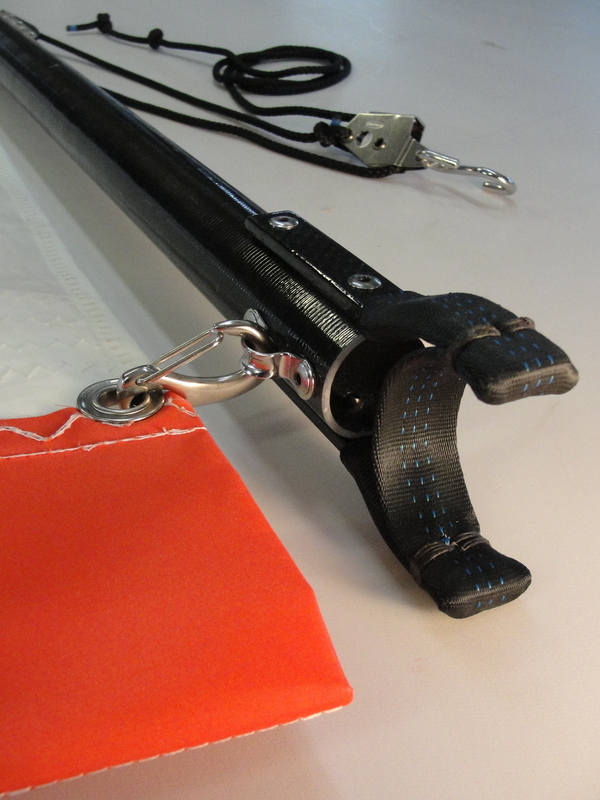 High quality snap and "S" hooks make set-up significantly faster. The PT 11 sailing rig is sold complete and ready to use. 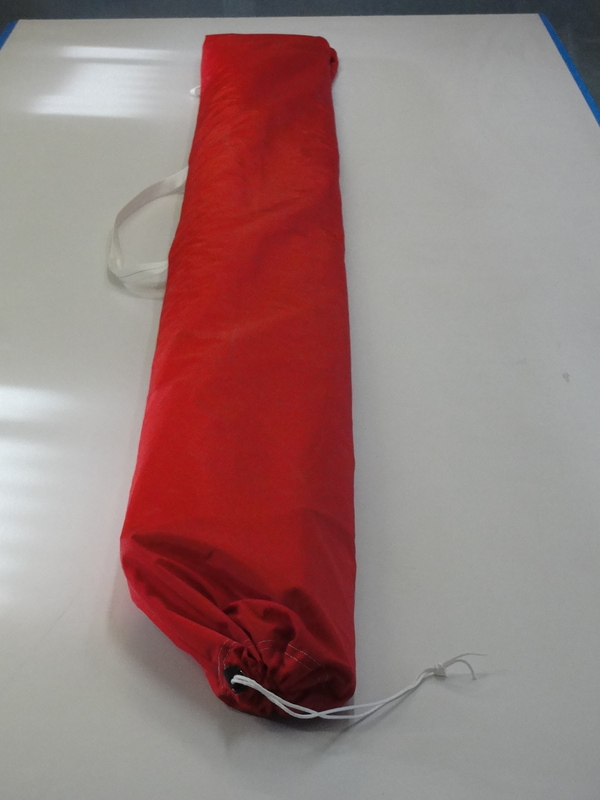 The rig comes in its own bag measuring just over 8ft long.. 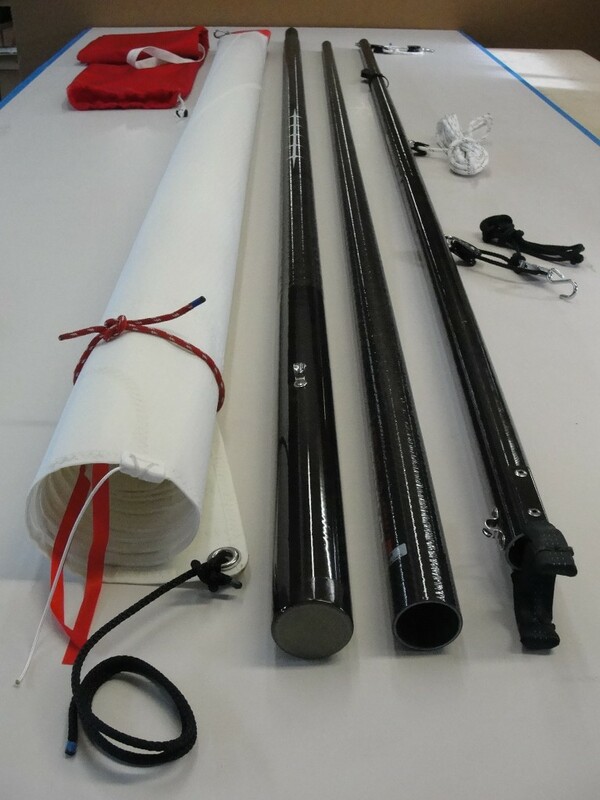 In the bag, carbon mast, boom, running rigging, and 54 ft sq sail. All this weighs 13 pounds! Out haul and main sheet tackle. Gooseneck and vang The red part is the sleeve on the sail.